The photographer has reacted with fury to the mistake. A photographer has reacted with fury after an image he took in Calais was used in an article questioning the status of newly arrived child refugees. On Tuesday, 14 child refugees were reunited with their families in the UK from the Calais refugee and migrant camp, known as the "Jungle". Among the widespread coverage was this composite photograph from The Telegraph website, which began doing the rounds on Twitter. The man who took the central image above, photographer Bjorn Kietzmann, said he was shocked at how his image had been used. "I despise how one of my journalistic photos [was] misused," the freelance photographer told BuzzFeed News. Kietzmann went on to say that not only was it very unprofessional, it was also awful because "a Sudanese refugee who is stuck for four months in Calais is presented as [a] fraudster". In a Facebook post, he said he had spent several days in the Calais "Jungle" refugee camp earlier this week and that the photograph was part of a number he took of migrants and refugees in the camp. He confirmed that the photograph used by the The Telegraph was taken on 17 October in the Calais camp, not Croydon. "It shows a Sudanese refugee wearing a 'I love London' – shirt who is stuck in Calais since 4 months," he wrote. "I do not know how old he is, but he has towards me never claimed to be a child." Kietzmann added that he did not think – although he could not be sure – that the individual was among those 14 originally taken to Croydon. He said it was "shocking" to see "how my material was taken out of context". The Telegraph has been contacted for comment. Other newspapers also ran coverage that suggested these children might not be under 18. The image on the right of the composite shot, of an individual apparently arriving from Calais, was also used prominently. However, last night an adoption organisation suggested the man was not a child refugee, but in fact a translator working with the children coming over. On Thursday, after deleting its original tweet, TACT issued a statement in which it said its information about the individual had come from a "credible source". "However, if the male is indeed a migrant and not an interpreter, TACT regrets any concern caused," the statement read. It added the tweet had been "withdrawn" to prevent further distress to the individual pictured. BuzzFeed News understands The Sun ran checks on the person in the image and found no evidence to suggest he was not one of the refugees. TACT said it would not be commenting further when contacted by BuzzFeed News. However, before the clarification was issued, social media users quickly picked up on the claim the individual was an interpreter. Then people seized on this BBC clip, which also suggested the individual *might* be an interpreter. 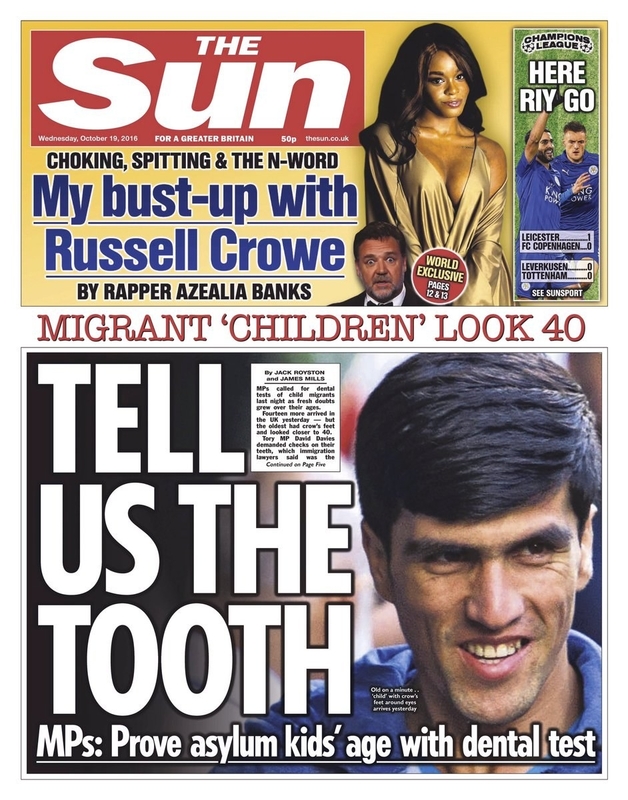 This clip suggests the 'child refugee' splashed across the front page of tomorrow's Sun is actually an interpreter. The origins of the confusion seems to have stemmed from an interview that a member of Citizens UK, an umbrella organisation that helped coordinate the transfer of the children from Calais, gave to The Guardian. George Gabriel told the newspaper one of the individuals' pictured "might" be an translator. Gabriel directed all comments to Citizens UK when contacted by BuzzFeed News. Safe Haven, one of the organisations who helped move the children over and partnered with Citizens UK, said they were unsure who the individual was. A spokesperson said that they had helped reunite two of the 14 children with their families on Monday, but that the individual pictured was not someone they were responsible for. They also confirmed to BuzzFeed News that they had one interpreter helping on the day, and, again, confirmed none of their staff recognised the man pictured. The International Red Cross, which was responsible for nine of Monday's children, also confirmed to BuzzFeed News they did not recognise the individual pictured, and he was not among their children. A spokesperson also said he was not believed to be either the charity's interpreter, or one of the "accompanying adults" who traveled with the children to Croydon. Government sources confirmed to BuzzFeed News that the individual pictured was not an interpreter, but declined to give out any further information about him. A photographer who was at the site – and who spoke on condition on anonymity – also told BuzzFeed News that the only people they saw getting off the bus in Croydon appeared to be child refugees and Home Office officials. 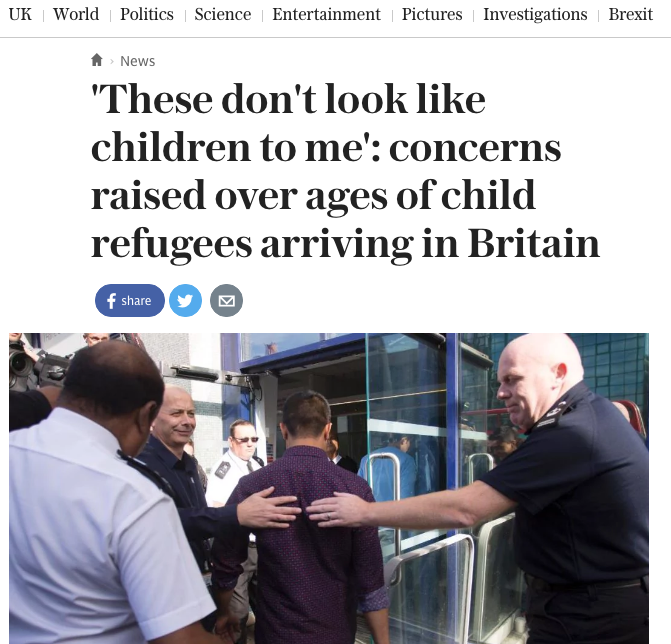 What Is Actually Going On With The UK And Child Refugees?